Insect follows Nolidae family, and Lepidoptera order. 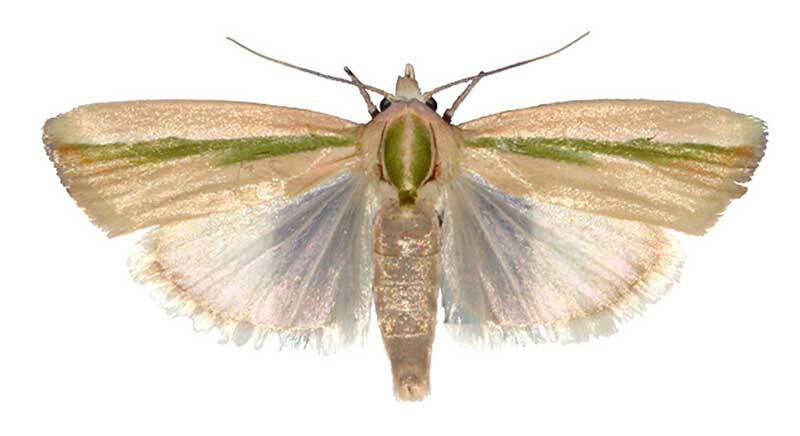 It is white and green; wing is 17-23 mm long. This butterfly is a dangerous pest for okra plant. Female lays oviparous on okra; larvas penetrate, feed on it and become unmerchantable.